Boda Boda to pay KSh 700 for a third sticker dubbed NTSA electronic chip for Monitoring. - Bana Kenya News, Real African Network Tubanane. Home Technology Boda Boda to pay KSh 700 for a third sticker dubbed NTSA electronic chip for Monitoring. Boda Boda to pay KSh 700 for a third sticker dubbed NTSA electronic chip for Monitoring. Boda Boda riders to pay more for the Government after NTSA came up with an electronic chip or sticker that will make NTSA monitor the Motorists. 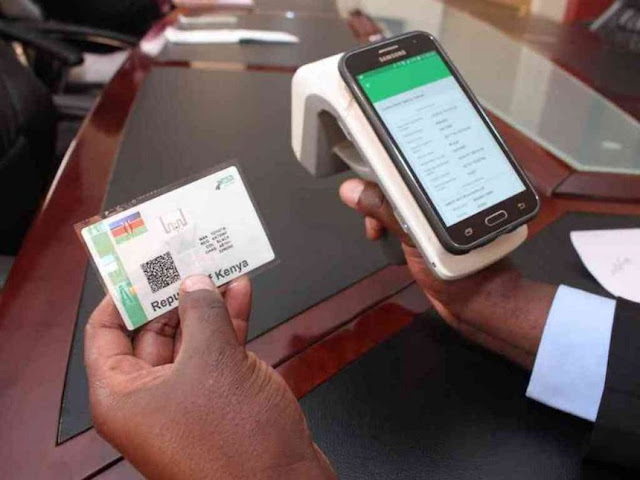 The Motorists will be paying Sh700 Monthly for the freshly introduced third licence sticker that will digitise NTSA's monitoring. Some of the features the electronic chip will have our protection against forgery, reading distances of more than six metres and a validity period of up to 10 years. In a notice dated August 21, the National Transport and Safety Authority said drivers will make the payment from October 1. The money will purvey for vehicle inspection after which drivers will be issued with the sticker. The tool was introduced in July after implementation of Traffic (Registration Plates) Rules, 2016. The Ministry of Transport has been on a mission to upgrade the transport system and the sticker is one of its milestones. The next rule will be rolling out electronic chipped number plates. After the sticker expires, motorists will be required to pay another Sh700 for renewal. The same amount will be paid if the chip gets damaged. The sticker will bear a vehicle’s registration and ownership, tax and insurance validation and other compliance and legal requirements. The government has introduced a new and strategic method of still getting some revenue from the Motorists. Now motorists will be paying to the county, insurance companies and now NTSA.